After meeting a guide at the Lao Cai railway station we have breakfast there and go to the Bac Ha Market for two hours by a van. This is the largest market in the region, a place where many ethnic groups gather to buy and sell, eat and drink together. There are 10 minority groups in the Bac Ha region. We can buy homemade handicrafts and clothes. In the afternoon we will have a 2 hour trek to Ban Pho village (Flower H’Mong people) where we can have look in their houses and understand little more about their lifestyle and traditional customs. Especially, we can try homemade wine from corn. And then we drive back to Sapa for 3 hours. Overnight in Sapa. At 10 am we leave the hotel and start trekking. The first part is on the road but we soon turn to the right and walk on a small path down the valley to the Muong Hoa River and from here to the Black H’mong village Lao Chai. 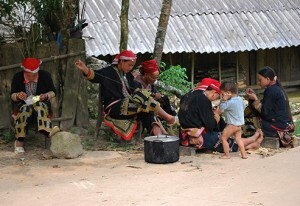 Black H’mong is one of the biggest minority groups in the Sapa area. They are proud of their culture and keep their traditions and way of living. They have their own language and wear traditional indigo blue clothing. After this you continue to Ta Van Village (1.200 m) to visit Zay people. Zay is a fairly small minority group of about 38.000 people who live mainly in the mountains in Northwest Vietnam. The development has meant that some of their old customs have been lost but many women still wear traditional shirts with a purple, blue or green color. The Zay houses are built of wood and bamboo with a clay floor. We stay overnight with a local family in Ta Van and have our dinner here. 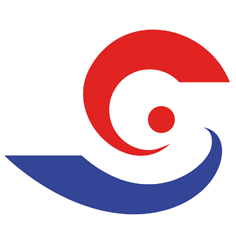 5h00 am, arrival Hanoi train station, our staff will pick up and transfer you to your hotel. Trip finish !